Registration of all Pets – All pets must be registered with the office. A form can be obtained by visiting the office. Pets not registered are subject to fines. 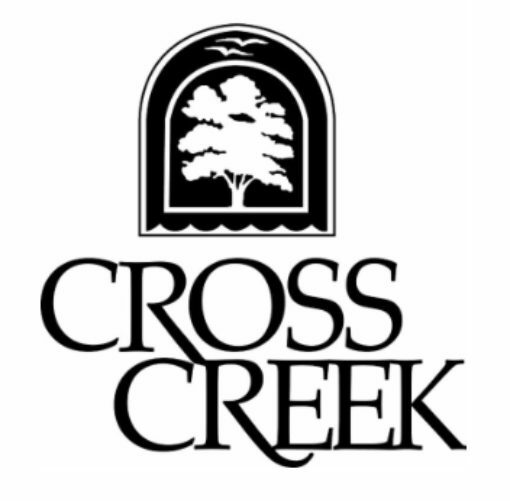 Pet Care and Responsibility of Pet Owners – Pets are welcome at Cross Creek, and we require pet owners to responsibly care for their pets. The pet owner is ultimately responsible for all actions and behaviors of your pet. Please act neighborly and responsibly, and make this a good experience for all of Cross Creek. Pets and other animals are subject to Section 9.5 of the Declaration. Animal feeding – No feeding of any animal wild or domestic on the common areas. Behavior of Pets and Owners – No pet shall be permitted to run at large at any time. No pet shall be staked out of doors to any tree, shrub, building, railing, lamp post, lawn, fire hydrant, etc., at any time. The owner of any animal will be responsible for any and all activities and damages caused by the animal, including damage to personal or Association property, and personal injury. Service Animals – All animals/pets that are not documented service animals are restricted from pool areas at all times. At no time is a service animal allowed into the pool. Pet Waste – There are several “Doggie Pot” stations located throughout the property. Owners are required to clean up pet waste every single time, even in the ivy. Pet Handling – Pets must be on a hand-held leash, and handled by someone who can control the pet when outside of the owner’s unit. This is also a city of Atlanta ordinance. Housing of Pets – No structure for the housing or confinement of any such household pet shall be constructed or maintained upon any portion of the limited common elements or common elements. Commercial Purposes – No animal shall be kept for “commercial purposes”. The term “commercial purposes” shall include the breeding, boarding, caring, and feeding of any animal. Pet Noise – Continuous barking, whining, and/or howling from pets will be considered a nuisance to neighbors and the peace and quiet of the neighborhood. Any owner that allows its animal to exhibit these behaviors will be fined and the pet potentially removed from the property. Any animal creating an unreasonable amount of noise will be deemed a nuisance to the property and can be removed permanently at the discretion of the Board or Management Office. Nuisance Pets – If it is determined that an animal is a nuisance pet, the Board can require the owner to remove the pet permanently from the Property.